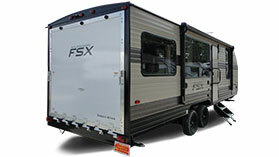 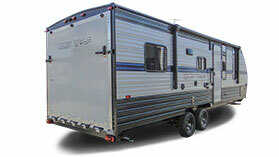 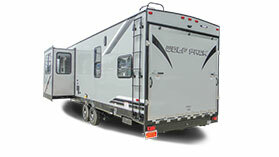 A toy hauler is a type of RV that has a large opening and ramp door, usually located in the rear. 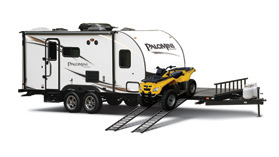 Toy haulers are perfect for travelers who want to take motorcycles, ATVs, boats, or other recreational items with them. 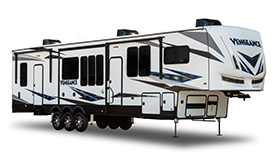 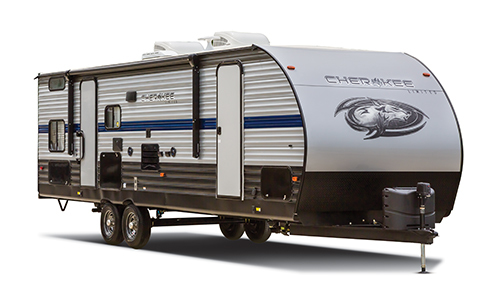 Toy haulers come in a variety of sizes - from lightweight to luxury - so you're sure to find just what you're looking for! 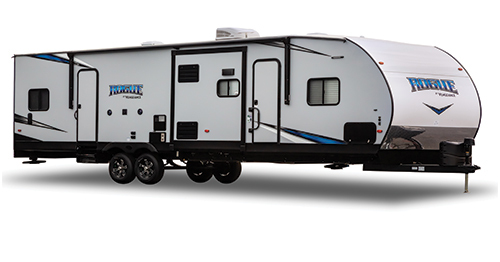 The Vengeance Rogue offers a robust toy hauler in a lightweight package. 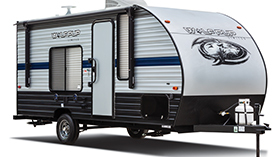 The Touring edition offers more space so that you can haul more. 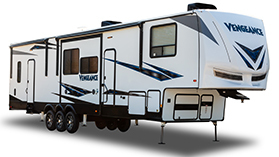 The Wolf Pack delivers useful floorplans with ample storage.